One thing I have learned over the years while working as a Massachusetts Realtor is that many folks do not realize the correlation between making improvements to their home and what the corresponding return on investment will end up being. So many people blindly assume that every improvement they make to their home will bring an automatic 100% return or close to it. Unfortunately this is not the case…far from it. One of the best home improvements you can make to your home is a remodeled kitchen and that generally only brings a 75% return! I don’t know how many times over the years that I have done an evaluation on a sellers home and they were disappointed to find out the value was not quite what they expected. More often than not it can be traced to the fact that money was put into the home in places where there is a very low return. So what are some of the worst returning investments in a home? Let me 1st preface by saying that adding a swimming pool somewhere other than Massachusetts may add more value in a home. In Massachusetts the time you are able to truly enjoy the use of a swimming pool is around three months. The weather in the New England states in not the same as down south or out west in the Arizona area where temperatures remain much warmer for a larger part of the year. Swimming pools are generally far more expensive to install in Massachusetts because of our rocky soils. The cost of an in-ground swimming pool can vary quite a bit depending on the size and whether it is a gunite or liner pool. On the lower end your very basic liner pool is going to cost around $40,000 by the time your figure the cost of the pool, fencing, landscaping, etc. A luxury swimming pool can easily go upwards of $100,000 if you go all out with a nice design and frills such as a cabana, fireplace and fancy surfaces around the pool. When you install a swimming pool in Massachusetts what you really should be thinking about is the enjoyment you are going to get out of having it. 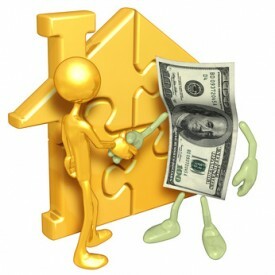 Do not expect that you will be getting a good return on your investment. Swimming pools often times can actually end up being a detriment when selling a home. There are many buyers that flat out will not buy a home that has one no matter how beautiful it is. Are there times where a buyer is specifically looking for a pool? Sure…if you are lucky you may find a buyer that will pay a little more for a home with a pool. Just don’t expect that it will be anywhere close to the money you have sunk into the ground. While you would never hear a couple saying “hey honey what do you think about getting ourselves a beautiful new septic system?”, the fact of the matter is that many home owners incorrectly assume that a buyer will give you something because you have one. Fat chance! Replacing a septic system is really one of the worst nightmares a home owner can face. The cost involved with installing a new title V system can put a huge dent in your wallet. The cost of replacing a Massachusetts septic system can vary quite a bit depending on the soils and the ground water level. If there are tough soil conditions and a high water table you could be shelling out $40,000 – $50,000 or more to have a new system installed. Even if the soil conditions and water table are very favorable you could still expect to be handed a bill of around $10,000. There is no question that replacing a septic system is a huge investment. Replacing a septic system is obviously not something you run out and do because you just feel like it. If your system fails it is a fact of life that it must be replaced. In Massachusetts you can not sell a home without a passing Title V! The problem is a buyer could care less if you have a new system in the ground. All a buyer is going to care about is when the toilet flushes it works. Do not expect a buyer to pay for your septic problem! You will be lucky if you get the buyer to pay 10%-20% of the cost of installing a new system. There is no question that one of the major components a buyer cares about when purchasing a home is the roof and basement. Of course this stems from the fact buyers never want to think about having a water issue. Surprisingly though home buyers do not care if you have a beautiful new architectural shingle adorning your rooftop. As an example lets take two identical homes in the same neighborhood one with a twenty year old roof approaching the end of it’s useful life and another home with a new roof. Let’s also assume the new roof would cost the seller $12,000 to replace. Don’t expect the buyer to pay an additional $12,000 for the home. Buyer’s rarely ever pay for the mundane. Buyer’s are far more willing to pay extra for things they can enjoy on a daily basis. A new roof is not one of them. A gorgeous new bath….different story! A home office remodel which returns 48.1% on investment. When it comes time to sell your Massachusetts home remember that some of the improvements you have made may help the saleability of your property but not your bottom line! About the author: The above Real Estate information on home improvements with the worst return on investment was provided by Bill Gassett, a Nationally recognized leader in his field. Bill can be reached via email at billgassett@remaxexec.com or by phone at 508-435-5356. Bill has helped people move in and out of many Metrowest towns for the last 24+ Years. 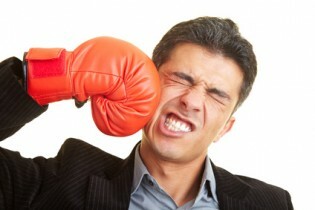 Next post Picking The Wrong Massachusetts Realtor Can Get Ugly! Should I Move or Improve My Massachusetts Home? Sometimes you just have to make repairs to your home whether or not they return your investment. However, if you’re a homeowner planning to do some updating, you should definitely talk to a real estate agent about what updates are good for your neighborhood to add value. Agents will usually jump at the opportunity to help people with their home updates and it will give the homeowner some direction. Great article! Lisa – Many mistakes could be avoided in the home improvement arena if seller’s did get advice from those that have a handle on this kind of thing. There are times where home owners make improvements to things with the intention of putting their home on the market only to find out later that the money spent did not do much for their return on investment. Great article! The whole value-of-a-pool question is one I get a lot as a real estate agent. It really depends on where you live, and if a pool is expected as part of a typical home, or regarded as a good thing, or just something else that someone else has to clean and maintain. I do get a LOT of clients that are looking for homes with pools, but I think part of that is that if the home already HAS a pool, they get to enjoy it without paying the whole freight – it might add $10k to $15k to the price vs. $35k to $50k to put one in. Alison you are correct about where you are located when it comes to a pool. I am sure they offer far more value to someone in Arizona than they do in Massachusetts for example. Hi Bill – Great list. We often see the best return on improvements, but not the least return. I totally agree with a swimming pool–I think it’s always easier to sell a house without one. And no one wants to spend money on the septic system, but they must replace or repair it if they want to sell the house. We also need to add market conditions as a Buyer’s Market will value these amentities differently than a Seller’s Market. In the Phoenix area with our 45+% REO market pools are getting maybe $10,000 for something that cost $30,000 (basic pool) to install. In a normal market we would value it more in the $15K to $20K range. Another area that will bite sellers is “green homes” with solar panels, extra insulation, etc. I just don’t see buyers willing to pay more for those items at this time. It’s strictly price focused in most cases. Peggy – I am sure in some areas there is a better return of a pool but here in Massachusetts the season is so short for getting the usage. Eric – I agree with you about the type of market having an effect of the ROI. One of the things that I have noticed her in my market is that homes that are in less than desirable condition really take a beating when it comes time to sell. Great article. I visited Open Houses this week and in one of them the owner had commissioned 3 giant murals for the children’s’ rooms. While I am sure the children love them, the potential buyers will not. This is an example of something that cost thousands and most likely will not bring a monetary return. If anything the murals will have a negative impact on the saleability of the property. Claudia I am sure you are right on the money! There are times when sellers make changes to their homes that they think may be appealing but they end up being a detriment to selling. Just came across this article a year later after doing some research. @Alison – the last two years we have been going out on a lot of pool inspections for new home buyers. We get both breeds, those who are excited about a house with a pool and those who are scared of it. I think if agents team up with a local pool company and can talk to their clients about what can be done to make the pool ownership experience easier and more enjoyable some of those scared of buying a house with a pool might feel more comfortable. That is what we try to do on pool inspections, educate the buyer on the pros and cons and let them know they have a company they can rely on to teach them about the pool. When it comes to investing in an inground pool in Massachusetts, you can’t think of just the pool but about designing an entire outdoor living space, that is where you get your value. Bring together the patio, hardscapes, landscapes, and the pool as a center piece, thats when it can add value to a home, or at least make it sell easier.